Taxes touch every aspect of your financial life and are factored into your financial plan. We make it our business to know your tax situation intimately while most others in our industry shy away from it. 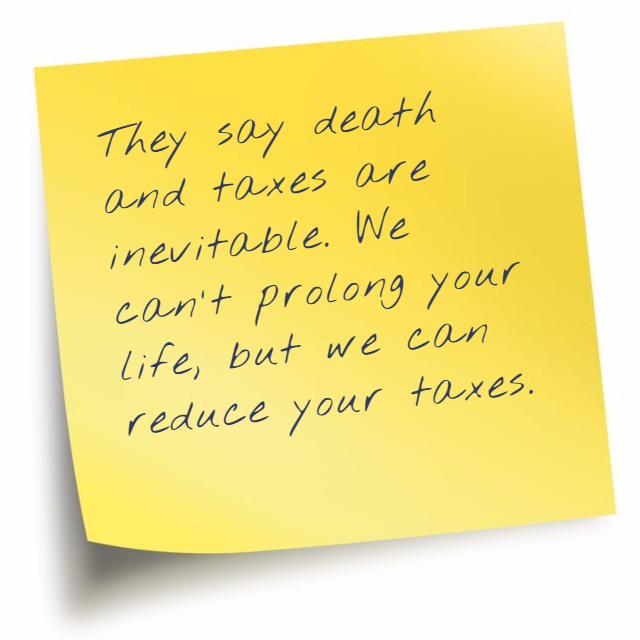 Liberty is one of the few financial planning firms that offers tax preparation services to clients. As your financial adviser, we are in the best position to ask the right questions and prepare your tax return accurately. At the same time, preparing your tax return gives us additional insight on the financial planning side to address your current and long-term tax issues. It's a win-win.